Algoritma academy students in Data Visualization Specialization class. As we welcome 2018, Algoritma also welcomes an additional program called the Data Science Academy. It includes two kinds of specializations: Data Visualization and Machine Learning. After each specialization, students will have to complete a capstone project in which they have to create their own data visualization and machine learning dashboards. These dashboards can then be shown to their future employers as their portfolio. Convenient. 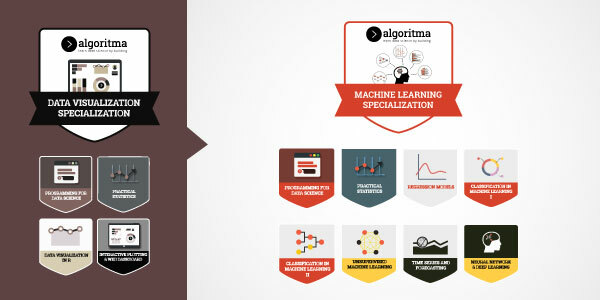 After taking both of these specializations in the course of 6 months, students will be recommended to Algoritma’s hiring partners for them to take their next step as a Data Scientist. The first batch of academy has already started since January 15th, 2018. We had a total of 24 students joining the first two workshops of the academy. We are proud to say that our students have been following the class very well and they are progressing very quickly. Machine Learning specialization is still open for registration. If you missed the chance to join our full track, worry not. We will have our second batch soon! But in the meantime, if you prefer to, you can still join our Machine Learning Specialization. The Machine Learning Specialization is a careful combination of statistical theory, hands-on coding and programming exercises to help students understand and implement some of the most widely-used and fundamental, machine learning algorithms. By building regressors and classifier algorithms from scratch, the student will go beyond applying machine learning models to actually developing their own models — and learn the right approach to fine-tuning the model performance as well as evaluating model fit against unseen data. 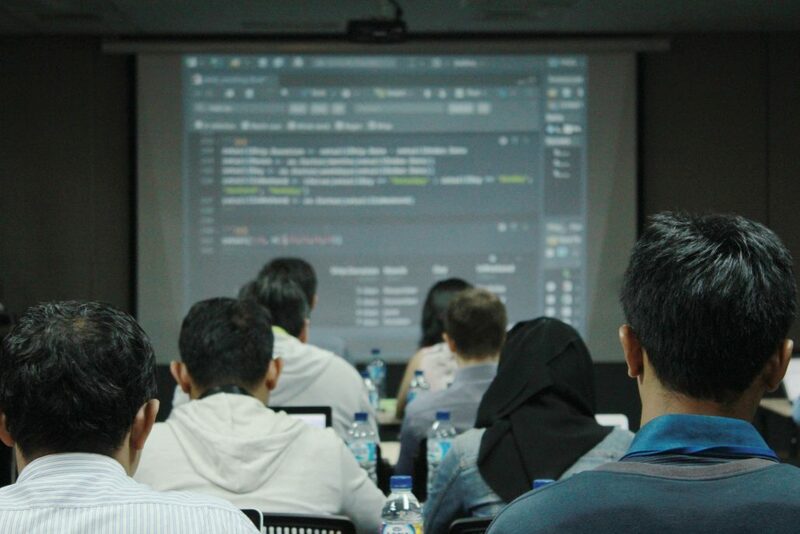 Upon completion of the workshop, the student will be well versed in an array of important, versatile machine learning algorithms and equipped with the right knowledge to apply them to future datasets in their daily jobs. This specialization is starting in March, so hurry and sign up NOW!